Dr. Thomas Behlmer believes you treat patients as you would treat your own family. Every patient deserves to have concerns listened to and have a dentist who truly cares about their well-being. Dr. Behlmer graduated from St. John’s University as an undergraduate with a degree in Biology. He earned his Doctorate of Dental Science degree at New York University College of Dentistry. He spent three years as a general dentist in the U.S. Naval Corps stationed in Washington, D.C. He is a current member of the American Dental Association and the 4th District Dental Society. Dr. Behlmer has been a resident of the North Country for more than 20 years where he lives with his wife and three children. He and his wife are active members of their church in Queensbury, New York. 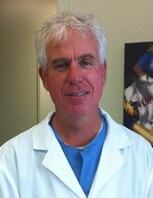 Dr. Behlmer enjoys sports and is a member of the Adirondack Runners Club and Hiland Park Country Club.